Are you looking for a change of destination for your family holiday? Or perhaps you are seeking the perfect place for a romantic break for two? Either way, we can recommend the wonderful East African country of Mozambique, a stunning place with a wide choice of beautiful destination and wonderful accommodation. To describe Mozambique as magic really is no understatement; there really is a sense of wonder and amazement here. As the acknowledged experts in Mozambique travel we have been arranging packages to the country for 20 years, and nobody knows Mozambique and its many resorts better than we do. Do you want a resort that is quiet and unique, and in a place where you have unrivalled views and spectacular accommodation? 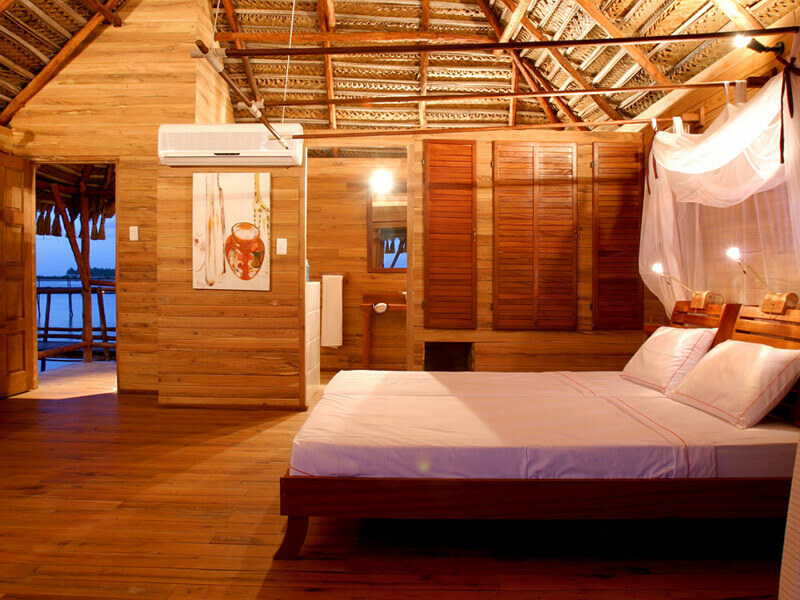 Try Flamingo Bay Water Lodge, with its charming lodges perched on stilts above the ocean. For a truly secluded private island experience you may like the look of Vamizi Island, a tiny island in the Quirimbas Archipelago that offers genuine seclusion in a paradise setting. Bazaruto Island, in the archipelago of the same name, is home to many excellent resorts, each offering peace, quiet and tranquillity and wonderful accommodation and facilities. Whatever you need Mozambique has it, and we are the people to take you there. Why book with us? We have excellent relationships with the best resorts thanks to our lengthy service in arranging packages to Mozambique, and as a result we can guarantee you the very best deals at the finest resorts. We could even save you as much as 15% on your package deal. We can take you to places that remain uncrowded and secluded, as well as arranging for you to enjoy the many excellent diving, snorkelling and fishing experiences that are highly recommended among the resorts. You also get the full benefit of our expert team of travel consultants, who know the islands and the mainland resorts better than anyone, and who can boast firsthand experience of the finest destinations. We can arrange for you to spend time on one of the islands as well as taking a safari on the mainland – an experience that comes highly recommended – or we can even put you on an exciting dhow safari where you explore the sheer beauty of the Quirimbas Islands and perhaps enjoy a kayaking adventure. You know you deserve it, so why not get in touch right now and book that dream holiday you have always wanted?